OTB seeks to make a visible contribution to society by addressing societal challenges in the field of the built environment. We do this by means of our specialist scientific research and education in this area as part of the Faculty of Architecture and the Built Environment. The emphasis lies on scientific impact and societal relevance. We aim to increase the significance of scientific research, while continuing to focus on the vital exchange between problem-oriented and practically applicable research. On 19 and 20 September, the conference 'Urban poverty and segregation in a globalized world' will take place. 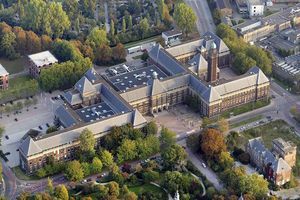 The Geo Delft Conferences 2018 will take place on 1-5 October 2018.